Trying out La Roche Posay skincare (and loving the results so far. Review coming soon!) | New perfume | Two For Tuesday! | Gorgeous cross necklace from Carnaby & Campbell | Easter treats in the office | Love this little face | Studded shorts | Baking time! 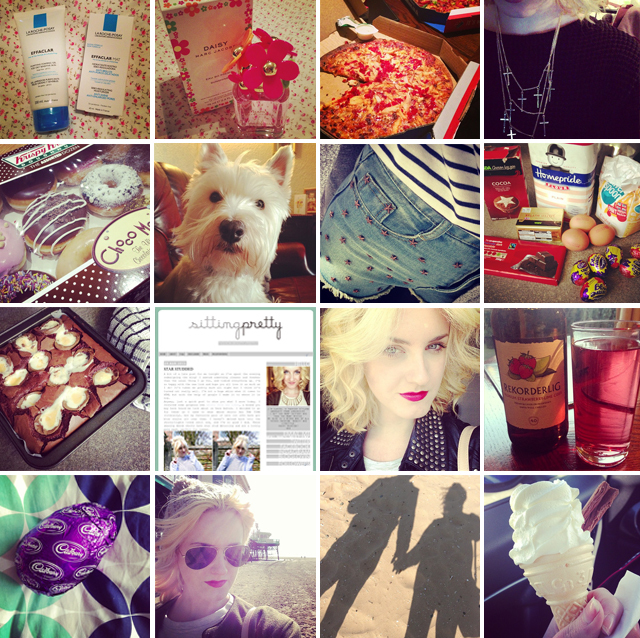 | The finished product – Creme Egg Brownies | New blog design | My face | Summer is coming – get the Rekorderlig in! | Easter Sunday breakfast | On the beach at St Annes | Sand shadows | Yummy Mr Whippy treat. "5 IPAD APPS FOR FASHION BLOGGERS"